The Atomic 50cc Scooter for sale is an amazing value that is inexpensive but not at all cheap! ATTENTION: The Joy Ride ATOMIC 50cc Scooter is Nuclear Powered!! OK, you got me, it really isn't. But Nuclear energy is made by boiling water... AND... the Atomic Scooter operates at an equivalent cost to Bottled Water! 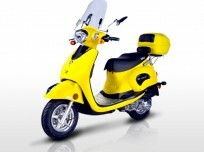 So In a way, the Atomic scooter does run on Nuclear Energy for miles to the penny at the cost of drinking water. But don't take my word for all this silly talk... do your own math @ 100+ MPG! 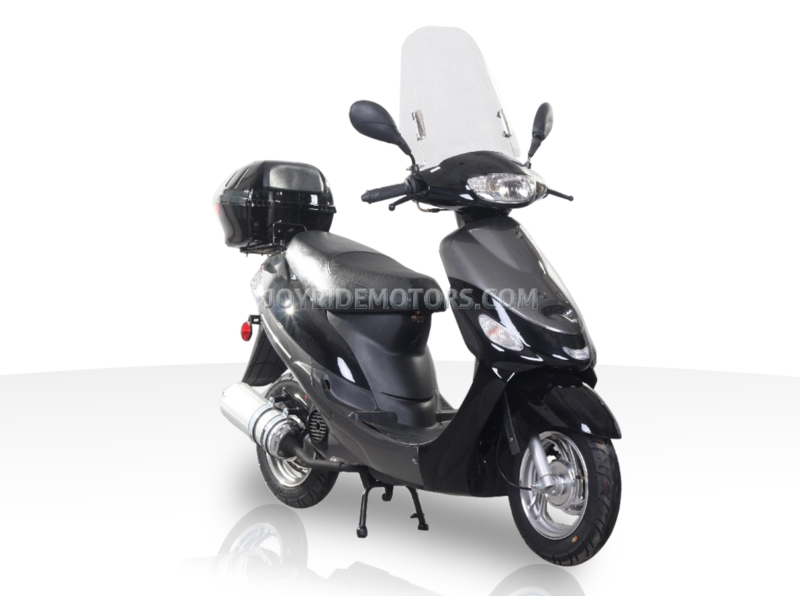 We consider the Atomic 50cc scooter to be our best and most popular 50cc entry level metro scooter for sale designed for a rider that mainly needs to go from A to B in style and comfort. 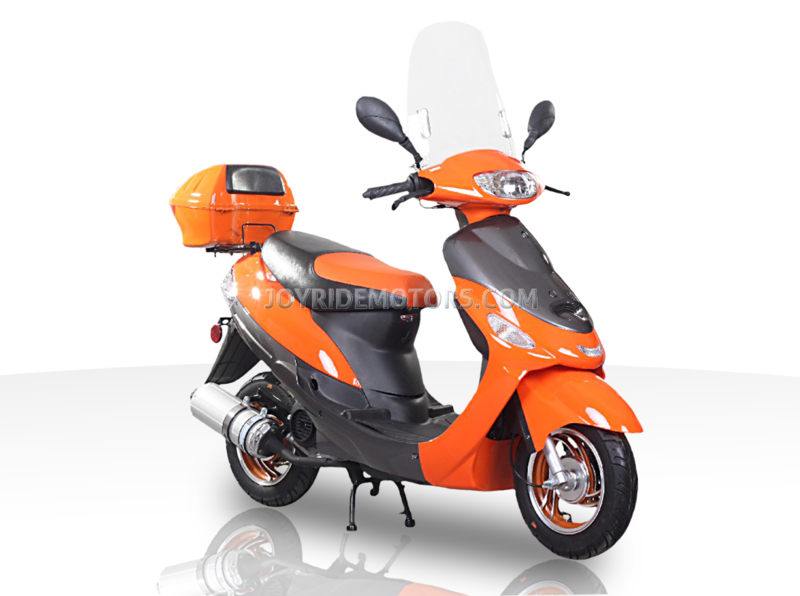 Unlike its counterparts, the Atomic Scooter comes in cooler colors and has a windshield to keep the bugs out of your teeth. 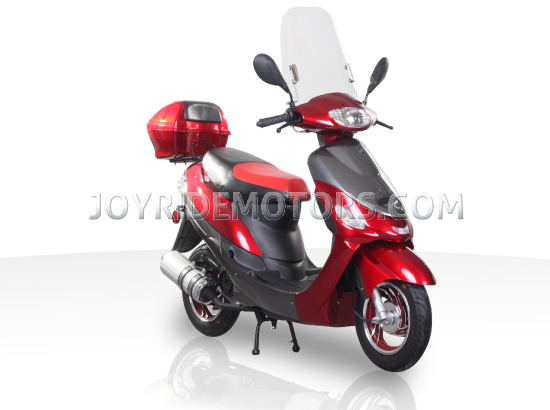 If you're looking for an entry level multipurpose scooter with a box to hold your bag when you're riding and your helmet and jacket when you're parked... than this is the scooter that will enhance your lifestyle. 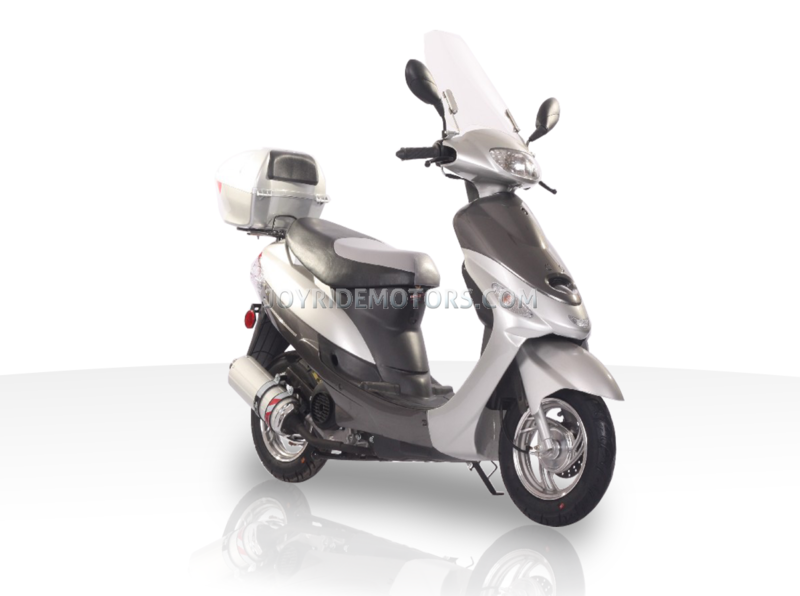 This is not some cheap scooter for sale online. The Atomic scooter for sale is ideal for either the college student that commutes to campus, or the recent graduate that just started their entry level job and lives on a tight budget. 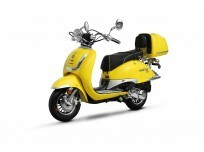 And if you like the Atomic scooter then check out its twins; The Venus 50cc Scooter ... AND... The Gemini 50cc Scooter ... AND ... The Unicorn 50cc Scooter ... AND ... The Maui 50cc Scooter. These 4 other models vary in color and style, but otherwise clone each other. 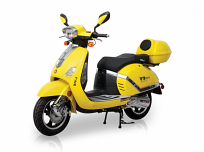 Their 50cc engines gives you all the pep you need to get around town at 100+MPG! You'll spend as much on gas in one year as you would in one month driving a compact car... for a fraction of the purchase price. 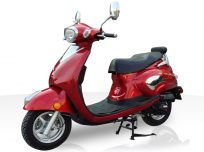 Honestly, if you live in a metropolitan center, need to commute to work or school and run errands around town, then having the Atomic 50cc scooter for sale will save you more money and time then you can imagine, and will add to your quality of life.... and that's what makes it a Joy to Ride! The Atomic is EPA and DOT approved and can be shipped to ALL States. 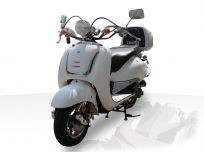 If the photo's and description of the Atomic 50cc Scooter aren't enough take a moment to ask us, or see what our customers have to say... After a decade of experience in this industry, we know you have lots of questions, so just call us at 1-877-300-8707 and we'll be delighted to answer them all :) To see what our customers have to say about us and our products, please click HERE. After reading some of the bad things on the net, based basically on the fact that it is made in China, I began to wonder why???... after all, they have been doing the scooter thing so much longer than the states. 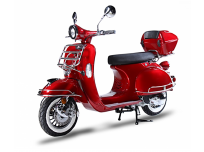 I went ahead and purchased an Atomic 50cc scooter for my wife to commute back and forth to work 6 miles each way including a fairly steep grade on a bridge crossing a river. We live in SW Florida, and so far it has been great with plenty of power from the little 50cc motor. plus the fit and finish seem good when you consider I payed $998 delivered.